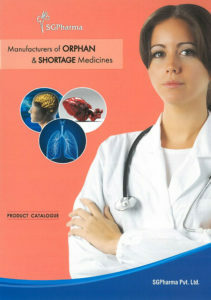 SGPharma Europe OÜ is importer and exporter of niche, orphan and shortage medicines. SGPharma Europe is a subsidiary company of SGPharma Pvt. Ltd. located in Mumbai, India exporting products to more than 43 countries worldwide. Since 1947, SGPharma has been a pioneer in the field of speciality medicines globally sourced, as well as indigenously manufactured, and making them accessible to people at affordable prices. Mr. Kirit Bhagat, the President of SGPharma, was the only entrepreneur who took the initiation to launch and market many vaccines for the 1st time in India. SGPharma has its presence all over the world, where its products are registered and being ethically promoted: Central America, Carribean Countries, South America, Africa, South-East Asia, South-West Pacific and CIS countries. Detailed information is available here. SGPharma Europe is looking for trusted business partners in Estonia. 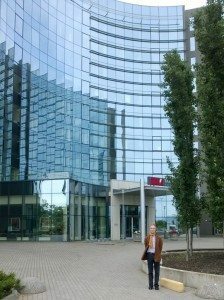 At the meeting at the ICC, the company discussed further plans and activities in Estonia and how ICC Estonia could continue to help with the necessary know-how. B2B meetings were held with our member companies in pharmaceutical industry. AS KEVELT, Estonian manufacturer of sterile medicinal products for human use and a member of ICC Estonia, would be interested in cooperation with mid-size pharmaceutical manufacturers and wholesale companies on a contract manufacturing basis. AS KEVELT was established in 1992 and now has more than 25 years of experience in pharmaceutical industry. Since 2003 AS KEVELT is EU GMP certified for manufacturing of medicinal products for human use and company quality management system is certified by ISO 9001:2015. Quality control from incoming materials to finished products is performed mainly in-house in their analytical and microbiological laboratories. AS KEVELT is focused on the sales of its products and interested in expanding markets. You can find more information about KEVELT’s products on their web page: https://kevelt.ee/products-and-services/pharmaceuticals/. AS KEVELT holds a wholesale distribution authorization for medicinal products and is authorized to import medicinal products under the Mutual Recognition Agreement and to release/certify imported batches when imported to EU. Storage and transportation of medicinal products. AS KEVELT is also authorized to manufacture and import human medicinal products for clinical research. Should you be interested in cooperation in the areas mentioned above or have any questions in this regard, please feel free to contact KEVELT AS by e-mail kevelt@kevelt.ee. Ecofleet is an international IoT software company that specializes in GPS-based fleet and team management solutions. Our focus is on optimizing car fleets and workflows to help our customers reduce costs and increase revenue. Our expertise is in sales, service, and R&D. We offer a wide range of standard solutions, but also provide scalable solutions for individual needs. Last Monday morning ICC Estonia’s gold member Estanc received an impossible project request. 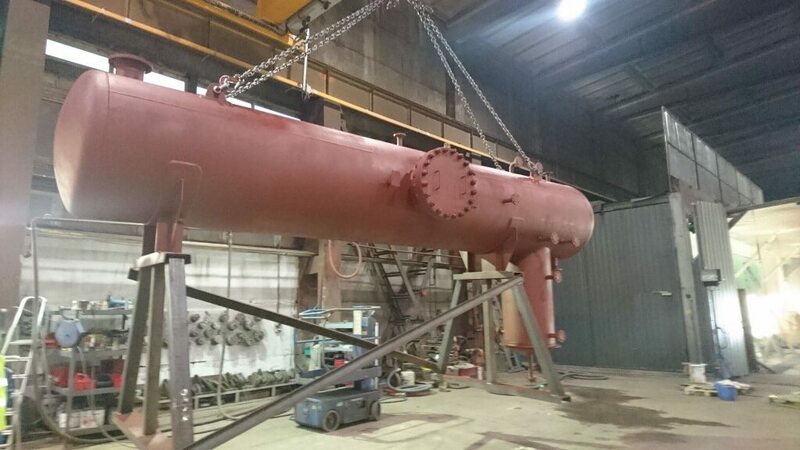 They were requested to produce a vessel on the picture by Saturday evening, on the same week! Stakes for the customer were high because their operations were not able to continue without replacing the vessel in their process. Under normal conditions Estanc would deliver such project in 3,5-4 months. Their team calculated the risks and prepared itself for the 24/7 beyond maximum effort regime and they decided to pursue the challenge. Thanks to the extraordinary effort from all of the departments Estanc managed to grant their clients wishes and this piece of equipment was delivered timely against all odds and the client was able to get back to their normal processes and save cost damages that could have turned into a possible disaster. Click here to read more about Estanc! 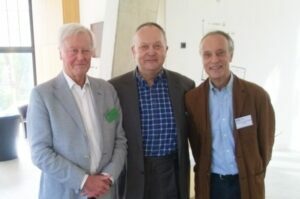 ICC Estonia so as the whole worldwide ICC family has lost its prominent leader and good friend Francois-Gabriel Ceyrac. We are shocked getting this news late evening yesterday. It is with profound sadness that I have to inform you of the death of Francois-Gabriel Ceyrac earlier today. Francois passed away in his sleep. His death has come as a great shock to us all and I trust you will join me in conveying our deepest sympathies to his friends and family. Francois was nothing short of an ICC icon. His energy, drive and humour was a real inspiration to us all and he was dearly loved and respected throughout the organization. Francois spent over 30 years at ICC—most recently in the role of Director of National Committees and Membership—and he leaves behind an organization which is much stronger thanks to his tireless work. Francois played a central role over many years in extending and strengthening our global network and we are truly grateful to him for the legacy he has left behind. His intellect, charm and character brought joy into our lives and workplace. I know that many of you worked closely with Francois and you will also have very many fond memories of him. We will all miss him greatly, both professionally and, above all, personally. The world is a little darker today with his passing. Should you wish to send written tributes, please do not hesitate to send these to me and we will collate them in a book of remembrance. We will let you know further details about Francois’ funeral and remembrance services as soon as these are available. 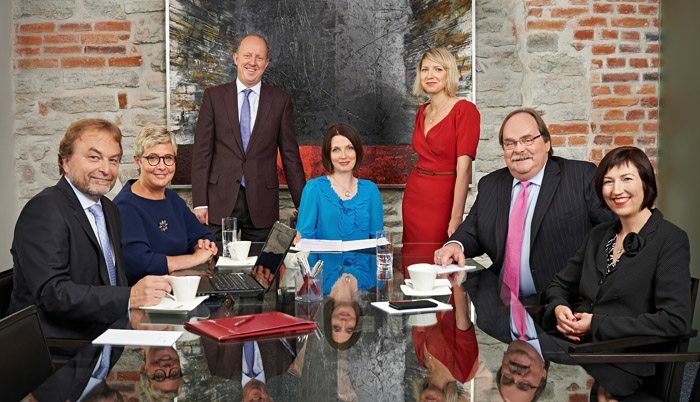 This spring marks LAWIN Tallinn office’s 25th anniversary on the legal services market and the law firm established in 1990 is now entering a new exciting stage of development. The Estonian office of LAWIN created a new Pan-Baltic alliance, also expanding into Belarus, and will continue under the new business name COBALT. 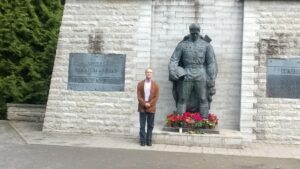 COBALT is a new closely integrated alliance formed by the LAWIN office in Estonia, former Raidla Lejins & Norcous offices in Latvia and Lithuania and the new office simultaneously opened in Belarus. Focus of the law firm stays the same. An experienced team of 120 lawyers aims to support and facilitate clients’ business activities and development by offering outstanding innovative legal solutions in all areas of business law and do this in a manner that is the most effective and convenient for each client. After a quarter of a century of intense and successful work in the field of law, founding partners Peeter Lepik and Toomas Luhaäär have decided to entrust younger partners with the daily management of the office and continue on as consultants. The role of managing partner will be taken by Martin Simovart who has worked at the office for more than twenty years and has been a partner since 2006. The circle of partners welcomes new additions, Pirkko-Liis Harkmaa and Elo Tamm, who both have consistently contributed to the work of the office for more than fifteen years. Liina Linsi, who was part of the team already upon the foundation of the office in the beginning of the nineties, as well as Marina Tolmatshova, who joined our team in 2009, will continue on as partners. From 23 to 28 April ICC Estonia’s business delegation visited Albania. The main event during this visit was an Estonian-Albanian Business Forum in Tirana on 24 April. The forum was hosted by ICC Albania and by Secretary General Ardita Seknaj in particular. The forum was opened by Deputy Prime Minister of Albania Niko Peleshi. In summary, the event included high ranking speakers, great media interest and a number of Albanian companies to meet Estonian colleagues at the subsequent B2B session, which turned out to be an excellent example of cooperation between two ICC National Committees. Mr Margus Rava, the Estonian Ambassador to Albania: “I appreciate highly ICC Estonia’s initiative to come to Albania with such a representative delegation”. A new video introducing ICC is available . The video tells the story of ICC, states ICC’s mission, and describes a range of ICC’s various work activities through interviews with ICC leaders, photos and short texts. Attention! International Chamber of Commerce (ICC) has decided to upgrade its historical logo! ‘The world business organization’ tagline is being retained, but needs to be used separately from the logo. It will be a complement to the logo when needed. Members of ICC Estonia still have the right to use ICC Estonia’s logo at their homepages. Please innovate the old logos to new! 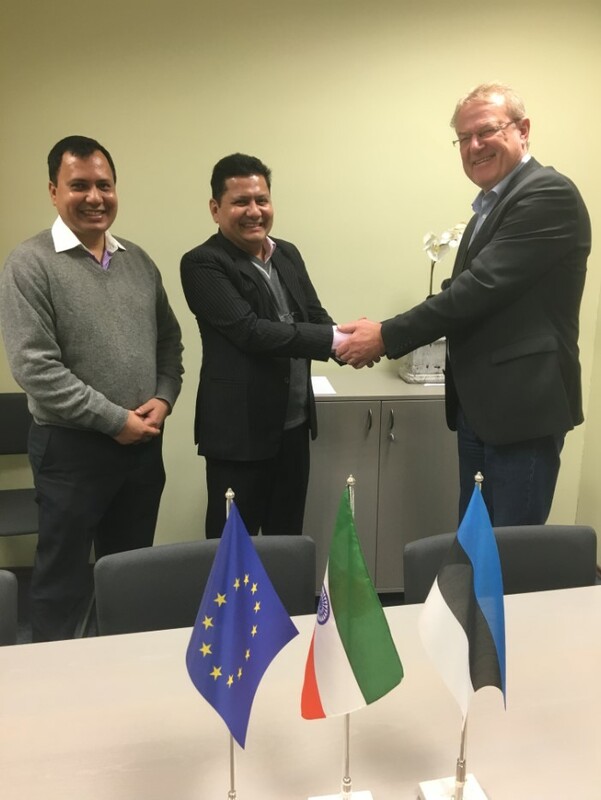 Estonian Purchasing and Supply Chain Management Association also called as PROLOG is a vital link between the Estonian SCM community and SCM professionals worldwide. Through global marketing actions the Association assists its members in developing their businesses in target markets. It provides the so-called all-in-one service – the customer can simultaneously find overviews, business contacts and support. PROLOG as a partner of the Estonian Government is deeply involved in the national law making process and elaboration of SCM and transport policies. Our current priorities include the Estonian maritime policy, creation of Estonian supply chain cluster, Estonian investment and export competitiveness strategy and also the participation of Estonia at World Expo in Shanghai in 2010. On 8 October, the winners of the competitions Entrepreneurship Award 2013 and Estonian Companies’ Competitiveness Ranking 2013 were declared at the Estonia Concert Hall. ICC Estonia’s goldmember Estanc was given Entrepreneurship Award in ‘innovator of the year’ category and skimpily missed the main prize of the Entrepreneurship Award 2013. The main prize and the foreign investor of the year award were given to Kühne+Nagel AS. Knowing our goldmember’s activities, we think that the main prize should have been given to Estanc. Congratulations to the Estanc family, special congrats to chairman of the council, Mr Raigo Tammo (in the picture above). 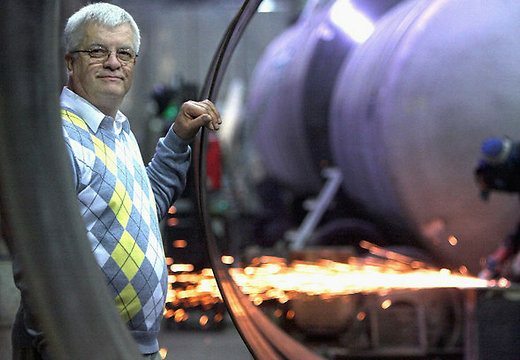 He owns two family companies – Estanc AS and T-Tammer OÜ. Mr Tammo has so many interests, participates in most of ICC Estonia’s events, leads two family companies etc. Unbelievable what strenght some people have! Most competitive company in transport and logistics area was ICC Estonia’s member Tallinna Sadam AS. 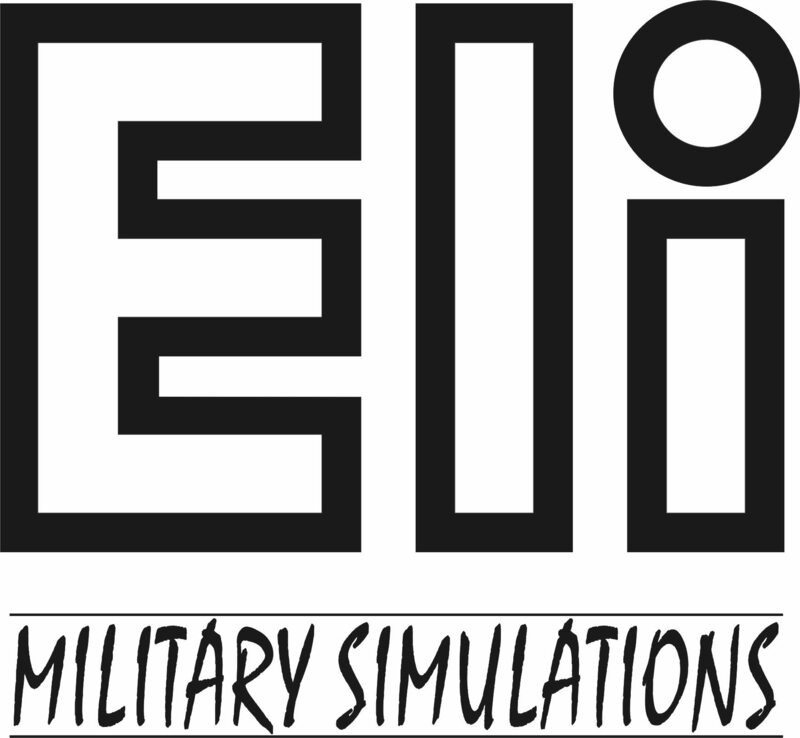 ELI is the leader of the Baltic countries in developing and producing simulators and training systems for police and defence forces. 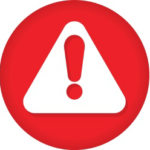 HeatConsult is an Estonian company, based in Tallinn. They specialise in design projects of gas and district heating systems, HVAC (heating, ventilation and cooling) and steam systems projects. 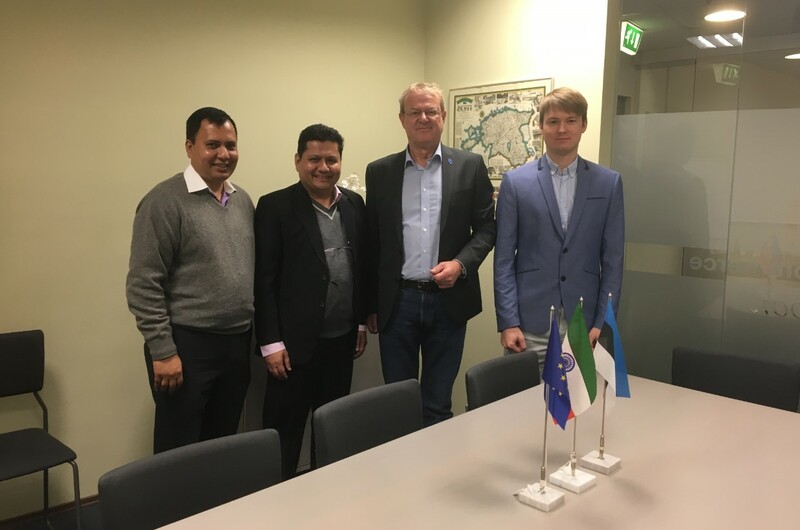 Their main references is Estonian onshore part of BalticConnector (Estonia-Finland gas pipeline, 54km from Kiili to Paldiski) and some projects in Russia: HVAC, plumbing and steam systems of industrial buildings.